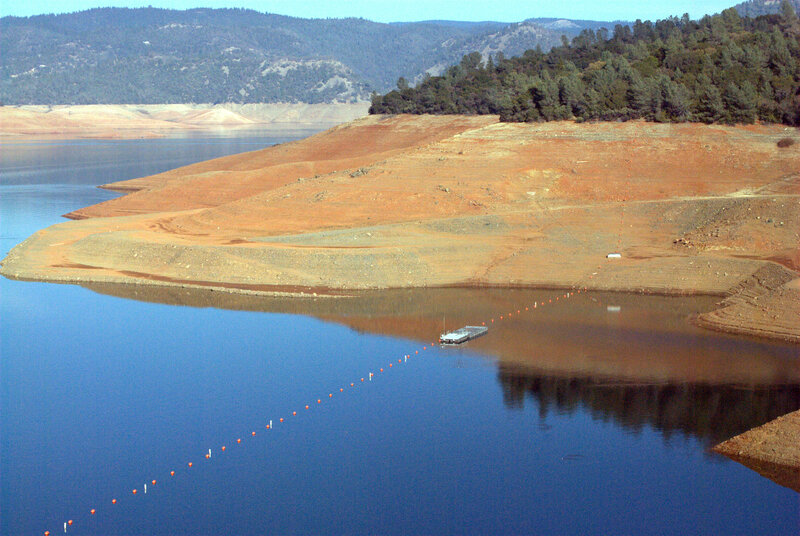 The Costs of California's Bellwether Drought: What Can We Expect? The simplest definition of "drought" is that there is less water than we would like to do the things we want, from watering farmers' fields to providing for urban needs to sustaining ecosystems. The costs of drought vary widely from sector to sector, and often include things that are hard or nearly impossible to measure or to quantify. As a result, it is difficult to report on drought costs in a comprehensive or consistent way. And until a drought ends, it is impossible to know the ultimate costs. California is in severe drought now. Energy: A drop in California hydroelectricity production is an inevitable outcome of reduced water availability. Because hydroelectricity is relatively cheap to produce, and highly valuable since it can be used to meet "peak" demands, California consumers will pay more for energy during droughts when hydropower is replaced with other, more expensive supplies. A 2007-2009 drought in California, for example, cost consumers around $1.7 billion more in energy bills. In addition to these direct costs are the health and environmental impacts of increased air pollution, costs associated with expanded pumping of groundwater, greater emissions of greenhouse gases, and other secondary effects. Ecosystems: California's ecosystems are already seriously stressed by excessive withdrawals of water, and there have been efforts in recent years to restore basic flows. It is, however, extraordinarily difficult to identify how much ecological degradation results from specific water actions. Furthermore, society is bad at evaluating ecological destruction in economic terms or dollar values. What is the value of an extinct species? What is the value of a lost acre of habitat for migrating birds? How much ecological damage results from an incremental change in water quality or flow? These costs are certainly not zero, but the difficulties in measuring them mean they are almost always under-reported, incompletely measured, or completely ignored. And droughts increase pressure on natural systems, sometimes to the breaking point. Agriculture: The Central Valley of California is a wonderful place to grow food and fiber if the water is available. Today, agriculture provides a relatively small percentage of California's gross state product (GSP) -- around $40 billion out of a $2 trillion economy -- though agriculture is still important to the economy and employment and identity of the state. In some parts of the state, farming is the dominant part of the economy. During drought (and increasingly, during normal years as well), there simply is not enough water to satisfy all agricultural water demands. The three major economic impacts to agriculture expected from the drought are a decrease in food and fiber production leading to a drop in income to growers; increases in some production costs, such as the energy costs of pumping extra groundwater to make up for a drop in surface water availability; and an increase in unemployment, especially among temporary farm laborers. The total costs won't be known until after the drought ends, data are available on which areas are planted and fallowed, harvests are complete, and agricultural products are moved to markets and sold. Costs will vary substantially by region and irrigation district, depending on water availability, crop prices and demand, and more. During recent past droughts, farmers in California were buffered by high global prices for crops, overdraft of groundwater, and farm insurance, which helped boost incomes or cover losses. And the last drought coincided with a national (and to some degree global) economic recession, making it very difficult to determine the role of the drought in contributing to unemployment. This year it may be easier to discern these effects over time, but it will take time to evaluate ultimate costs. Fires: Forest fires can cause extensive damage to human communities and natural ecosystems, and they are costly to fight. Droughts can contribute to fire frequency and intensity, but in complicated ways: sometimes droughts keep down the level of vegetation, which can reduce fire risks; sometimes droughts increase fire risks. Assessing the net costs will be possible after the drought ends, but the state is already moving to hire additional fire-fighting personnel to prepare for a bad season. Commercial/recreational fishing: The commercial and recreational fishing sector in California is a multi-billion industry. On top of the ecosystem damages caused by drought and water policies, a long-term effect is felt by commercial and recreational fishermen when rivers and streams are closed to fishing, and when commercial stocks, especially of salmon, are damaged by poor water conditions for spawning, migration, or feeding. Urban users: Urban water agencies are, to varying degrees, already calling for a range of voluntary and mandatory cutbacks in water use, depending on their local situation and water availability. As water use goes down, consumers will sometimes see their water bills drop. Sometimes, however, droughts lead to local increases in water rates (dollars per unit of water used) because of the need to cover fixed infrastructure costs. (To say that this frustrates water users -- to see rates go up when they are successful at conserving water -- is an understatement. But there are ways to solve this problem with smarter rate designs.) Other increases and decreases in drought impacts that are harder to quantify include lost social value from dead lawns or gardens; changes in labor or chemical costs associated with caring for turf; stimulus to the economy from efforts to purchase more water-efficient appliances like washing machines, dishwashers, toilets, and showerheads; and other effects. Over time, investments in new water-related infrastructure for either supply or demand management may reduce future drought risks. Industrial users: Because most of California's GSP comes from sectors that are either modest water users or in urban areas where water supplies can be purchased, total industrial income is not discernibly affected by droughts, with the exception of the secondary food processing sector, which is more closely tied to agricultural production, yield, and availability. It takes water to make beer or semiconductors or to satisfy the tourism industry, but the drought is unlikely -- at present -- to have much of any effect on this part of the economy. If the drought persists for more years, this conclusion may change either because of direct impacts on production or in the form of decisions to locate industrial assets elsewhere, in regions where water-related risks of scarcity are lower. The total costs of drought will not be known until it ends. Even then, there will be uncertainties and unquantifiable costs. But there is no doubt that the economic risks of this or future droughts can be reduced if we can develop a more sustainable water system, and that is a worthy objective.